Welcome to our new group of students from Australia, Canada and New Zealand. Never too late to enroll, there two more starting dates this year: 7th of Octomber and 4th of Novemeber. After gaining a high-school diploma from the institute of applied arts in Monza, he obtained his professional grounding in the R&D centre of AF&F, a company specialising in the production of metal furniture for public buildings and areas. This work experience enabled Pietro Arosio to build up his own possible design philosophy, to be pursued over time as an industrial designer. He began his independent career in 1972 and started to make an effective contribution to fitted kitchen design in 1978: the quality of his work was recognised when he won the Casaviva d’Oro first prize in 1983. Some of his works have been exhibited at London's Victoria and Albert Museum, and at the Die Sammlung museum of modern art in Munich. “There are no answers, only choices”. This statement made by Gibarian in the novel Solaris by Stanislaw Lem is the inspiration for the free-standing project designed by Pietro Arosio. In fact, Solaris is a kitchen with an uncommon layout, designed as the formal evolution of the living concept, for those in search of open, flexible spaces used for multiple functions. Solaris is a free-standing Island in Corian® with a modern, tapered shape and fitted with stainless steel legs. We catch a glimpse of the profile of a sink on the white worktop with an impressive spray faucet and an upraised Corian® splash guard to protect the rest of the room from any sprays. Next to the sink, there is a glass-ceramic hob, perfectly flush with the worktop, composed of 4 cooking zones with differentiated power. The under top framework is in stainless steel. The light switch and the electrical sockets for small appliances are housed on the front panels. The gas pipes, the water and drain pipes and the electrical wires are housed in a flexible, modular stainless steel structure. The soft diffused light is provided from a lamp with Corian® finish, fitted with an opalescent glass screen and mounted on a tubular steel rod. A drawer unit on four castors, fitted with drawer and basket is housed under the Corian® profile. Italian company, Ernestomeda, has become a leader in providing modern, sophisticated design to home kitchens and yachts around the world. Constantly changing up style and technology, Ernestomeda honors the importance of the home kitchen, making sure each kitchen is a beautiful, inviting place to spend time and create memories. Ernestomeda offers a variety of programs: Barrique, Elektra, ElektraVetro, Silverbox, ONE, ONE+, Fusion, Seventy, Verve, Solaris and Suprême. Each program also has a variety of materials that can be changed around to create unique looks. Popular materials include: plywood, laquer, warm American walnut veneer, as well as Cherry, Oak, Dark Oak, Warm Grey Oak, Tobacco Oak, Italian Walnut, TK and open-pore white lacquered Ash. For ultra modern looks, stainless steel and aluminum are also available. Worktop surfaces come in laminate, plywood, veenered, marble, granite, quarz, okite, Corian® and stainless steel. The new Kleenmaid Elevator oven rises beyond bench height, making it easy to load and unload. Also shown is a Next Generation cooktop with electronic touch controls. Next Generation appliances can be seen at Kleenmaid appliance showrooms throughout the country. Ample storage is provided within a long island, perimeter and overhead cabinets and two banks of floor-to-ceiling cabinets. One of these walls features the timber veneer, as do the overhead cabinets and shelving on the island. "For added interest, we lined the white pantry cabinets in black laminate," says Dee. "This complements the black accents in the ovens and black window joinery." Wonderful Kitchens has been designing, manufacturing and installing kitchens, closets, laundries and bathrooms for more than 30 years. From its establishment in Brisbane back in 1986, Lincoln Sentry has evolved, grown and expanded to become one of Australia's leading suppliers and distributors of hardware and components to the cabinet and furniture making industry; the window, door and glazing industries and the niche industrial tape and insulation markets. 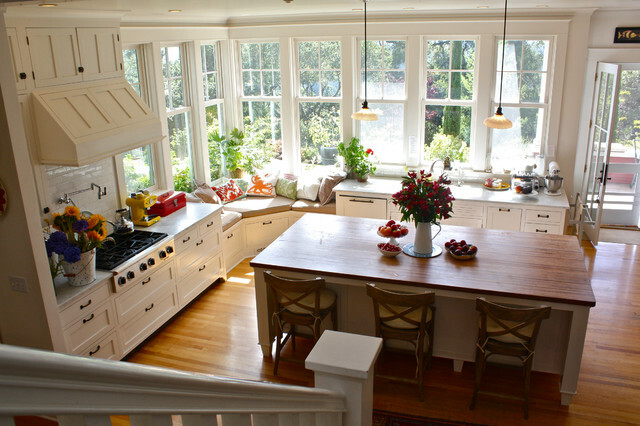 For the way designer used the spacious room, counted in the natural light and combined the kitchen with a sitting. The whole room is light filled, airy, homey and cozy. A doll-kitchen for a princess?